For an enriching experience that is unlike your standard art museum, the Museum of Contemporary Art (MCA) in Chicago is a must-visit. This historic museum was built in 1964, and has solidified its place in the world of art. Not only are the exhibits unique and thought-provoking, but the architecture of the building itself is a work of art. The MCA has a wide variety of exhibitions that are engaging and exciting. 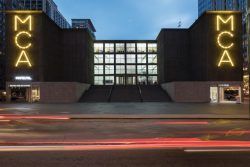 The museum makes sure to provide Chicago residents and visitors with the opportunity to see exciting art pieces from around the world, while also showcasing local artists. The Museum of Contemporary Art also has an amazing theater, which is home to a variety of different performances that push boundaries and create a one-of-a-kind experience for viewers. If you are currently living in Chicago or you are visiting, schedule a day to explore the world-renowned Museum of Contemporary Art.